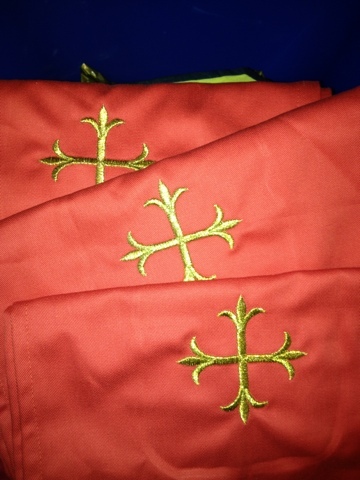 I had some machine embroidery to do for a customer, in gold thread. 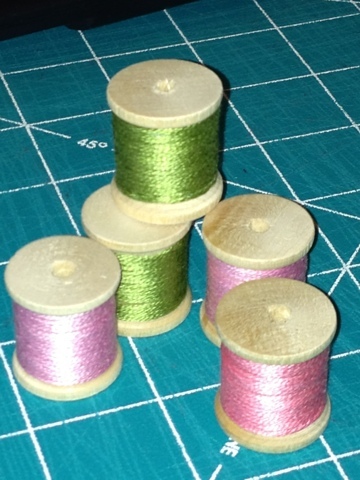 Metallic thread often shreds or breaks so i needed to watch it, but I didn't want to sit doing *nothing*! Great multi-tasking Benta! 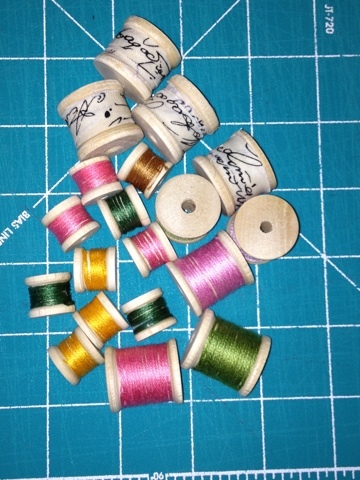 I must keep an eye out for those bobbins. 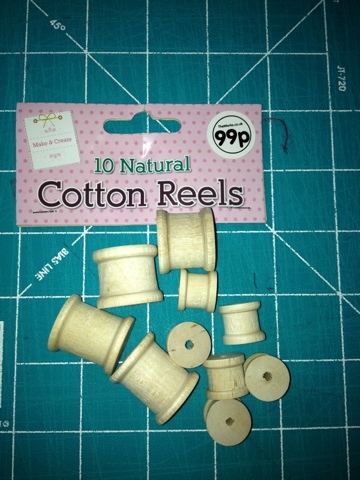 Busy girl again - love the threads on these reels - I must look for them too! 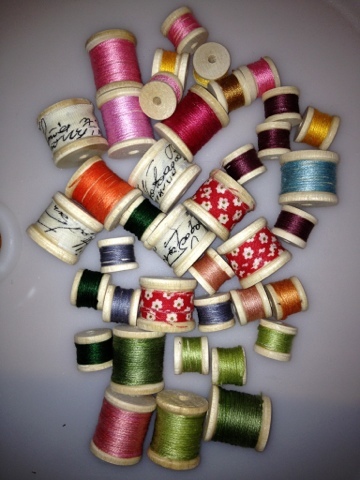 I love the spools and what you did with them! Well done on the embroidery too. Cool embroidery - is it a christening robe for the royal baby?